Will be released seven years after Johnny English Reborn (2011) and 15 years after Johnny English (2003). Bough: Sir! Wonderful to see you! 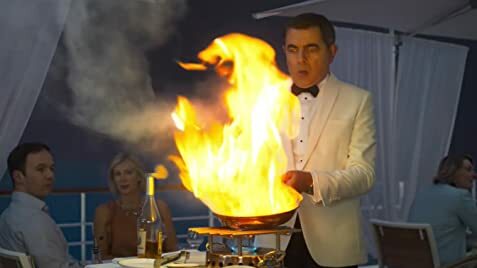 Johnny English: Yes, alright Bough, we're going on a mission, not a honeymoon. English refers to the senior officer on the submarine as 'Commander' but she wears 4 stripes on her sleeve denoting her as a Captain. However, given his general incompetence this isn't out of character.